You have been hurt by the prescription drug or medical device that was supposed to help you. Now, you are left with a serious problem. How will you get the recovery that you deserve from a large pharmaceutical company that has lots of money and experienced mass tort lawyers to defend itself? How can you make the pharmaceutical company fix the harm that it has done to you? Suffer similar injuries because of a common problem with the same product. Are located close together geographically. 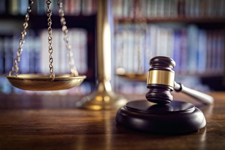 While mass tort cases are similar to class action cases, there is an important difference. In a mass tort case, each individual plaintiff remains an individual plaintiff and is not part of one class of plaintiffs. Mass tort cases are complex and require the assistance of a mass tort lawyer who can make sure that your legal rights are protected during this unique form of litigation. Being an individual plaintiff. You will be treated as an individual plaintiff in a mass tort action. That means that you will get a unique recovery based on the specific injuries that you suffered if your claim successfully settles or if you get a court recovery. The efficiency of a mass tort action. While you will be treated as an individual plaintiff, the investigation of your claim and preparation of your case for trial will be shared among all of the plaintiffs in the mass tort action. This may save you both time and money. Having the resources to protect your rights. It can be very difficult to fight a pharmaceutical company that has the financial means and the experienced attorneys to protect itself from your injury allegations. However, when you work with other people who have suffered similar injuries then you may be a formidable force that is capable of taking on the pharmaceutical company. If these advantages sound good to you, then the next step is to talk to a mass tort lawyer about whether you may have a mass tort case. Design. If the pharmaceutical company was negligent in the design of the medication or medical device, then the product that you used may have been dangerous. This could happen if, for example, the pharmaceutical company failed to test the product adequately or report on the testing honestly. Manufacturing. Even if a safe product was designed, a dangerous product could be put on the market if there was a problem during the manufacturing of the product. For example, the wrong ingredients could be used or the approved design plan may not be followed. Marketing. The product itself may be appropriately designed and manufactured, but it may lack the right warnings that allow doctors and patients to make informed decisions about whether or not to use a specific drug or medical device. If the pharmaceutical company was negligent in just one of these three ways and you were hurt, then you may have a legal claim. You are suffering because of an injury from a medical device or medication. You need to know how to recover as quickly and painlessly as possible. Our experienced mass tort lawyers is committed to getting you the fair recovery that you deserve. Please contact us today for a free, no-obligation consultation about your rights and to find out how to get started with your recovery. We welcome your inquiry by phone or through this website. We look forward to discussing your potential claim with you.